There are many reasons why your e-commerce needs video content for marketing the products. Helps in reaching out to large numbers of audience. The text is right to describe a product, but the video helps the viewer to see the product in action. Video helps to connect with the audience personally and stand out from others. What is Ecommerce Video Marketing? Studies proved that video is great for making people encourage to buy a product. 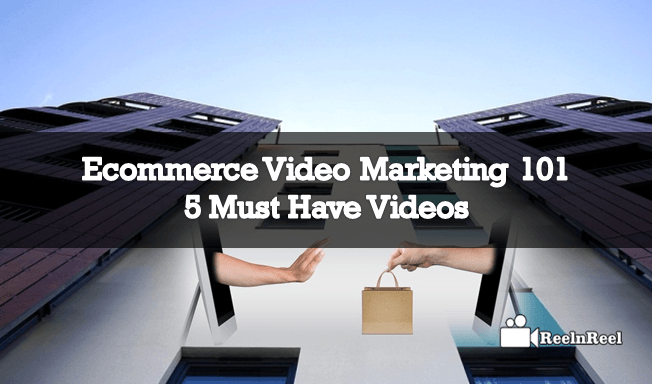 Including video in your e-commerce marketing strategy helps to increase sales. Video marketing for ecommerce ensures that consumers stay longer on the site. If there is a video on e-commerce sites, the visitors are sure to browse more. It is also proved that video improves conversion rate. If the visual content is attractive it is proved that more than ninety percent of the consumers are going to be influenced. Video also proved to help attract more and more traffic. E-commerce should create videos that are funny, interesting and creative. Find the best place to post your videos. Ecommerce product pages upload marketing videos on the homepage and also the product pages where there is more traffic. This helps for the e-commerce sites to observe conversion rates and measure the effectiveness of videos. YouTube is the most popular video accessing platform. The rise of YouTube is the new frontier for e-commerce sites. This platform is a great content marketer place. Videos on YouTube can help provide quick information to the audience. Describe your service or product in the video. Post the video on YouTube. Post the link to the video on other social media platforms such as Facebook, Twitter, and Pinterest. Add your e-commerce site links to the description of the video and direct the visitors to your product page. Using YouTube for e-commerce marketing benefits in making the customers involved. It generates brand loyalty and brings repeat visitors to the video and e-commerce site. Many big e-commerce brands such as Best Buy make use of the powerful tool called video for their marketing. YouTube is e-commerce friendly because it is easy to customise channels and subscription lists. Instructional videos are one type of videos that every e-commerce sites must have.These videos are informative and educational and capture the attention of new and existing customers. Product review videos are another powerful and popular type of must-have videos for every e-commerce site. The product review helps the potential customers get a better idea of the product they are planning to buy. These videos help the customers in making a buying decision. Promotional videos are created by e-commerce sites to advertise their products and sites. These are usually posted on YouTube and are cost-effective way to get business in front of a large number of potential customers. How to Videos are created to take the video marketing to next level. The product features and specifications are explained in details in these types of videos. Having comparison videos on the landing pages of e-commerce sites is a great way to help the confused customers make a buying decision. With so many choices they have, their ability to make the final decision inhibited. There are other tools such as testimonial videos, related videos etc. for e-commerce sites that people will love since they get the information they want about the product. Having videos on the e-commerce sites increases confidence of customers about the brand and the product. Hence the best way for the E-commerce sites to promote their products is to use video marketing. Online shopping is the most common slogan that has been changed by each and every individual in a daily routine of life. ECommerce Video Marketing is more advantageous for the retailers to get the sales through online category and customers to buy at their steps. How it’s possible to hold the concentration of customers globally. Perhaps you might use catalogues and photos in the product description. It works for somewhat not in full pledged way. In that case, focus on creating the videos for the product you have or about the sale offers. A video is much worthy than an image or text. Try to produce the video of the store website overview containing the location, directions for the specific store, making an online payment and in-store payment process and design of the store environment. This might be helpful to get the approaching ways to trust the online services provided by the retailer. By conforming the navigation details most of the people will prefer to do online shopping. The basic and the most significant word that leads the entire E-commerce marketing is a product. As the high-quality product, they provide that much of customers they get and this will be the starting brick to build the strong online store. Some online retailers will put the product image by using digital effects but when the customers buy it seems completely different with low quality. To eradicate that just pick the best way to make brief videos about the product by specifying the complete details. Some customers fed up with product then the most trustworthy companies will regenerate or return the amount depending on the customer requirements. Then they would be satisfied with their services and consideration of consumer words. Then you get feedback from them and frequently the reviews from the customers will be taken. Then upload those videos and this could notify the genuinity of the company towards the customer. Note: don’t consider negative feedback and reviews. The main thing you should remember as an e-commerce retailer is use celebrities as brand ambassadors to describe product as they are already used. Always choose to make précised videos that should be watchable by the customers. Give the spellbound titles and images that are totally unique for each product. Make the focus on presenting all outlooks of the product. Try to create videos related to the bulk sales when you have sold for plenty of buyers and mostly offered discounts on products. Depending on the season and occasion when you provide huge reductions and gift vouchers then you might get a crowd for the store then release those videos. These will help the well-reputed companies will go on using these videos of online service to promote their products which can be used to maintain the continuity of the success in online trading and as well as startups to boost up the business at the starting stage without struggling.